The natural scenic beauty of historic Oahu’s Waimea Valley provided a perfect setting for the official opening and hoʻolaʻa (consecration) of the Valley’s newly renovated amphitheater. The April event was held to celebrate the completion of restoration and to acknowledge all of the hard working Waimea Valley staff, volunteers, corporate organizations and the numerous supporters who contributed countless manpower hours and in kind resources toward the renovation. Kahu Silva presided over the formal Hawaiian dedication blessing in accordance with traditional spiritual protocol. 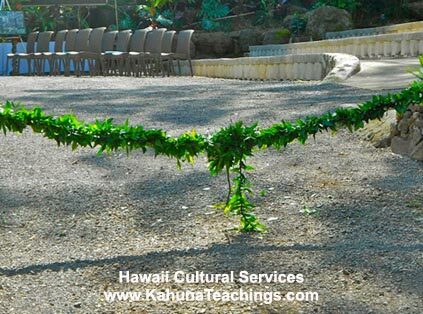 The ceremonial elements included an exchange of ‘oli aloha (welcoming chants), the offering of pule kāhea (invocation prayers), ka wehena o nā maile, (the unraveling of sacred maile vines) and the pī-kai water sanctification ritual. 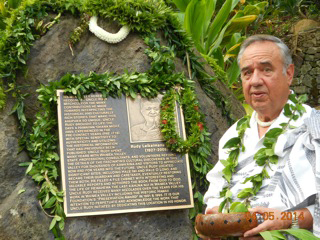 Highlighting the program of events was the unveiling and blessing of a bronze plaque honoring the late Uncle Rudy Mitchell for his pioneering efforts toward the preservation and perpetuation of Waimea Valley’s cultural and natural resources as a traditional legacy for future generations. 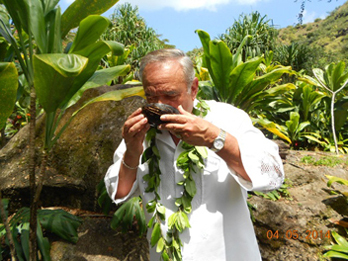 Kahu concluded his portion of the ceremony by partaking of the sacred `awa (a native drink) that was used by early Hawaiians to commune with the gods. Copyright © 2019 Hawaii Cultural Services. All rights reserved.